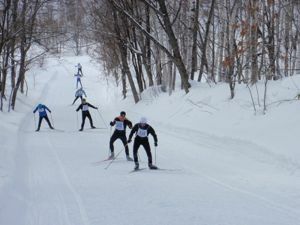 From this winter Sapporo Ski Marathon is held first weekend of February just same schedule with Konig Ludwig Lauf. There were 160 oversea skiers last year that was new record of Sapporo ski marathon, but this time only 50 oversea skiers because of our catastrophe FUKUSIMA (Earthquake, Tunami & Nuclear electric plant accident), FUKUSIMA is still risky now. This winter temperature was stable colder than last winter, on the race day it was best snow and weather condition, at the start temperature was minus 5 degree and at noon minus 2 degree, no wind, sunshine all day. Big group from Finland 15 skiers, women’s winner and men’s second were Swiss skiers. Course was perfect condition for both FT & CT this time. Total finisher was 543 skiers for 50km & 475 skiers for 25km, race is getting smaller year by year recently. This entry was posted in Race reports 2012. Bookmark the permalink. 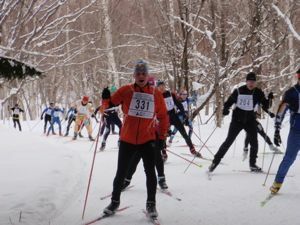 Have you done a Worldloppet race and would like to share your experience in an article here? please contact us. This website has been switched into a new format. Some of our old articles are missing right now. They will be put back in.